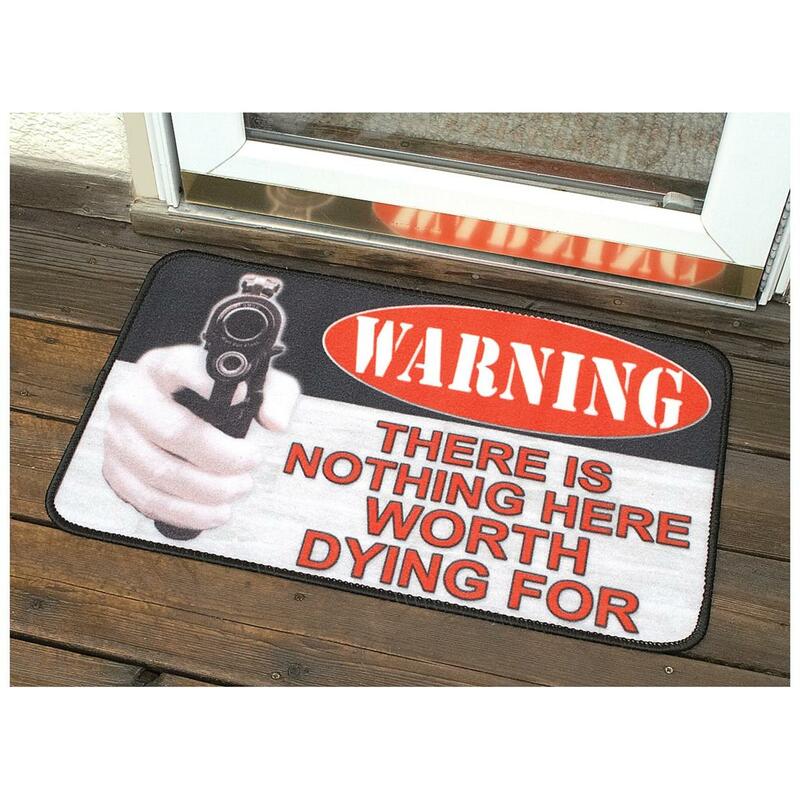 Show unwanted visitors you mean business. Bad guys beware! Let any potential intruders know you mean business. 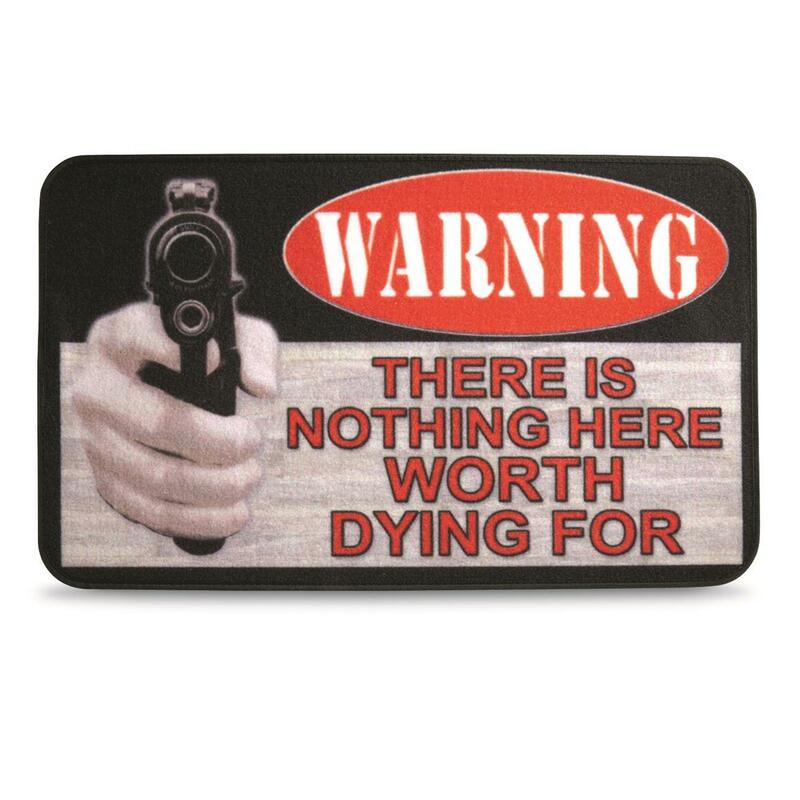 Gun owners will love showing their pride with this welcome mat. 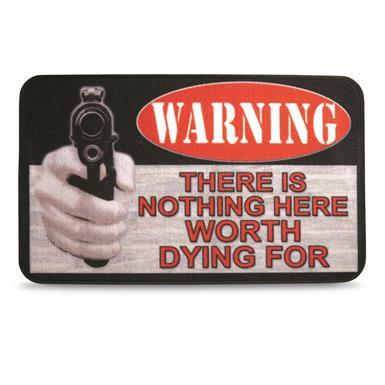 As the doormat states: "Warning, there is nothing here worth dying for."